Hi! I'm Levi from Kitimat, BC Canada. My favorite things are: school (LOVES), going for walks & being outside, looking at books, being held, action songs, shaking/tapping toys, and hanging out with my big sister Dylan! As a result of these mutations I have a severe seizure disorder (with 1 1/2 years seizure free on Clobezam), painful dystonia, hyperkinetic movement disorder, extreme sleep disorder, I'm g-tube fed, immobile but learning to step and stand, non verbal, intellectually & global developmental delay, Autistic like tendencies with Sensory Processing Disorder. 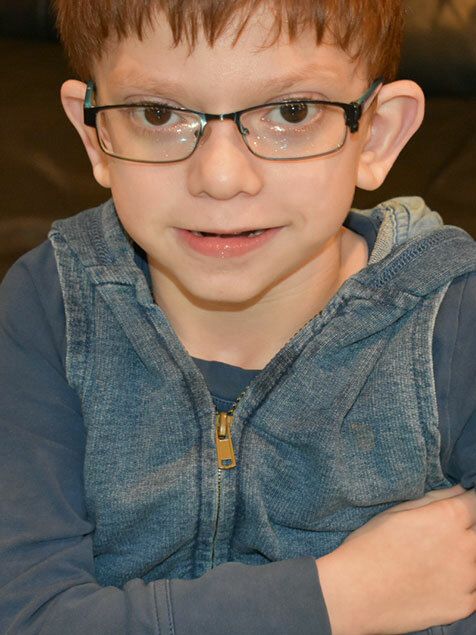 Despite all of these challenges, Levi continues to conquer each day with a smile that will melt your heart. Levi has taught his family about the important things in life, and to cherish every moment. He has touched many hearts with his amazing strength and strong spirit. Levi makes this world a better place and fills our hearts with HOPE!